HONEY I WANT TO MOVE TO WHITE ROCK WHERE IT'S SUNNY! Come see this cozy 1,249 sq. ft. 3 bedroom, 1 bathroom and den rancher situated on a rectangular 6,675 sq. ft. lot. Features include newer Vinyl windows, paint, laminate flooring, spacious living room with vaulted ceilings and a large patio for your summer BBQ parties. The spacious kitchen features updated cabinets, appliances, glass backsplash, plenty of cooking space and an adjacent eating area. 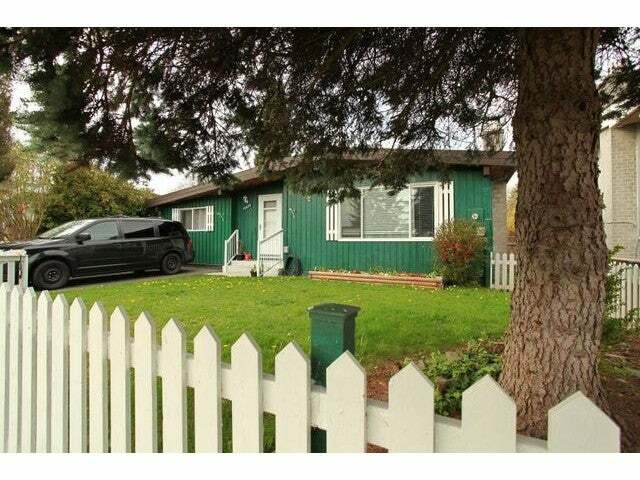 BEST OF ALL, this property is centrally located and walking distance to Semiahmoo Mall, grocery, Peace Arch Hospital, US Border, and the BEACH! The current tenants love the neighbourhood and would like to stay. Lot Size 6675 Sq. Ft.